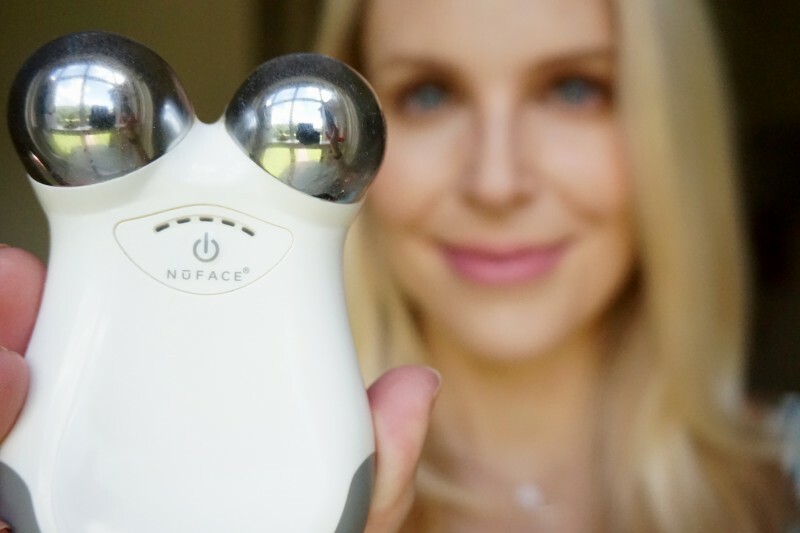 I’m actually completely obsessed with a new product that’s not mine called the NuFace. 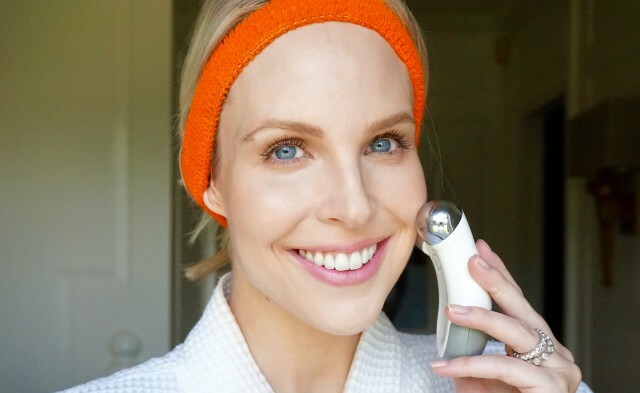 It’s a handheld microcurrent tool that helps lift your face where you have signs of aging. 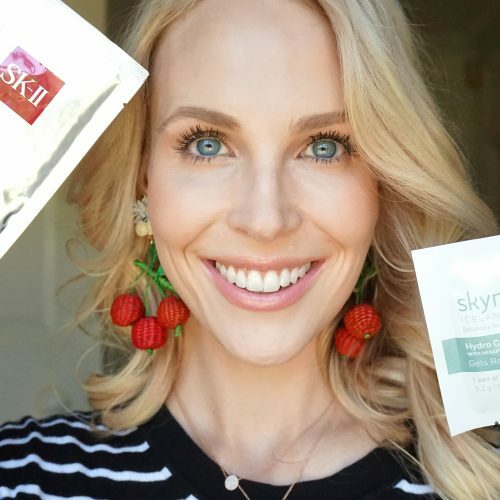 It’s unbelievable and it works…It’s great because I’m not somebody who believes in injectables at all. Ever the nerd, I immediately went on a NuFace/microcurrent technology deep dive, scouring online reviews and medical journals (seriously). Turns out there is proven, clinical evidence that microcurrent actually works to lift sagging jowls and perk up your face, among other benefits. Consider this 2012 clinical trial testing the effect of microcurrent on facial wrinkles, where the patient satisfaction rate was 70%. How does the NuFace device work? 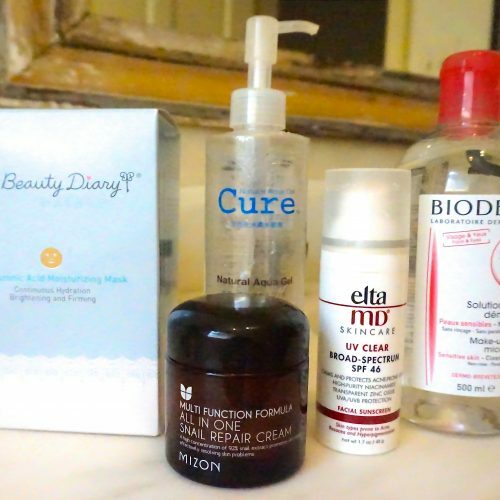 First you squirt a clear gel on your skin that works as a conductor (similar to an ultrasound at the baby doc.) The device has two silver balls, negative and positive, with a tiny, safe amount of electrical current running in between. When you put the device on your face, electrical current flows through the skin and facial muscle, causing a tightening. No shocking feeling here– it feels like absolutely nothing, except for the occasional muscle twitch. If you feel anything, you didn’t apply enough of the gel. It sounds so gimmicky, I didn’t believe it could be true. 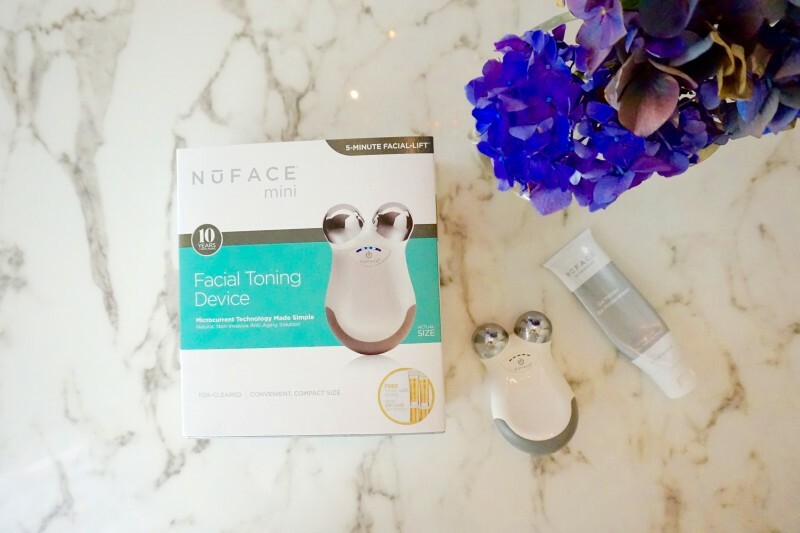 But in the spirit of research, I ponied up for the NuFace Facial Toning Device (it is actually majorly discounted right now during the Nordstrom sale!). 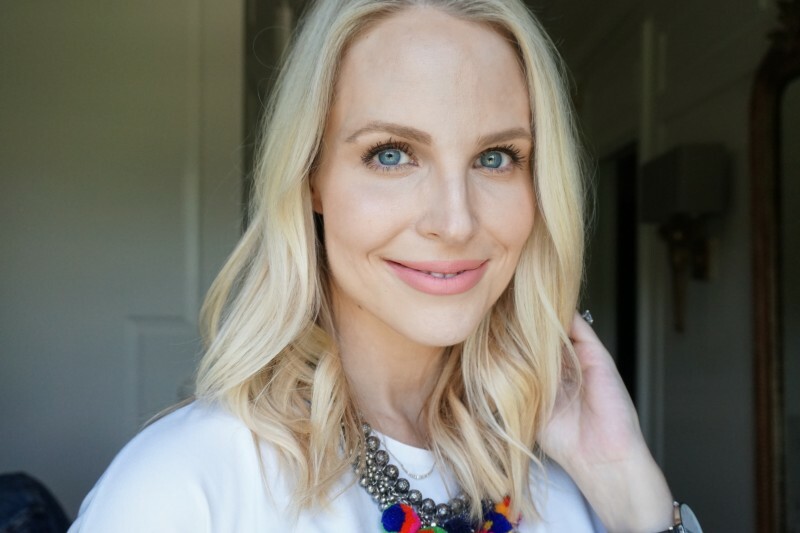 And to make sure it actually worked before blogging about it, I have been diligently using NuFace for about six months now and I can truly say it is legit and will subtly lift your sagging face. 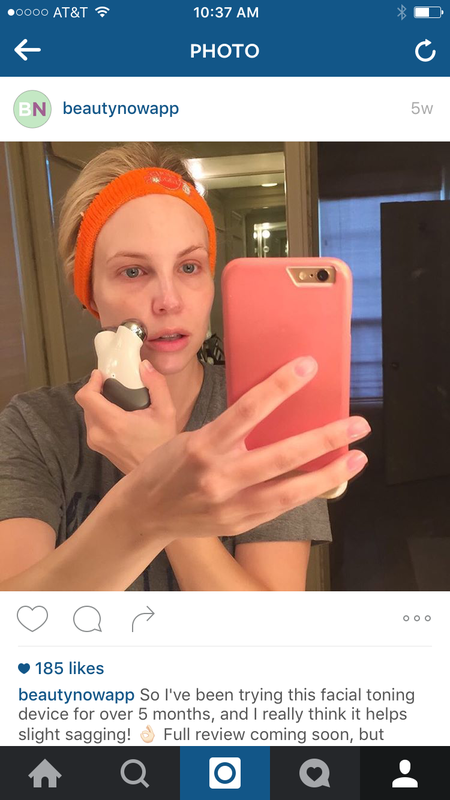 Microcurrent also has other benefits that I can vouch for from my personal experience using the NuFace device. It is a proven de-puffer, because “exercising” the muscle with microcurrent helps promote the drainage of fluid. 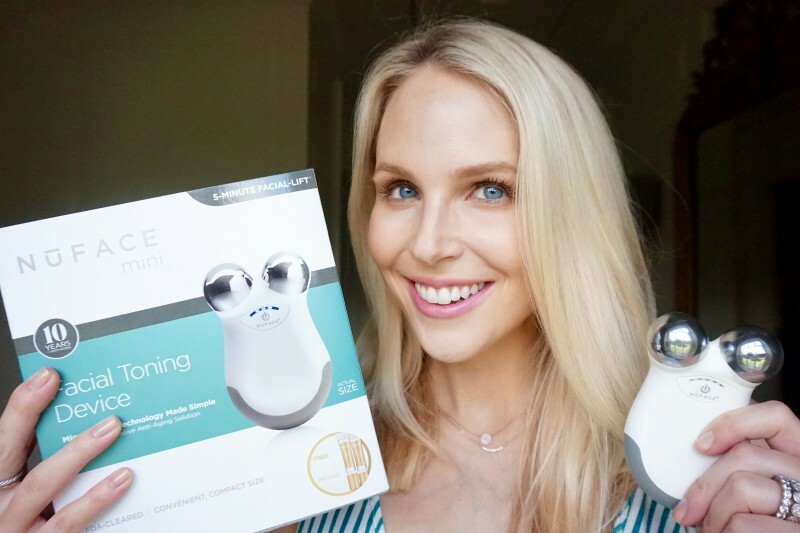 I make sure to use the NuFace in the morning, passing the device over my under eye bags and along my jawline where fluid tends to accumulate overnight. Not a dramatic difference, but I can definitely tell it de-flates my bags a bit and makes my jaw look a bit more contoured. Apparently the lifting results you get from an at-home device are nil compared to what an aesthetician’s microcurrent facial at a spa can do. 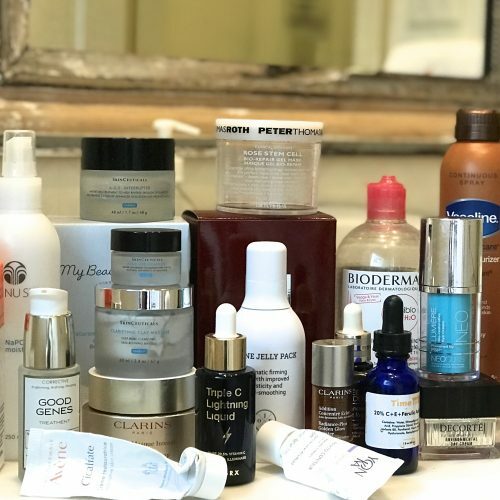 Age-defying celebs like Julianne Moore and Madonna allegedly flock to cult NYC facialist Joanna Vargas for microcurrent facials on the regular. One day we should all make a beauty pilgrimage to NYC just to experience the Joanna Vargas lifting facial! 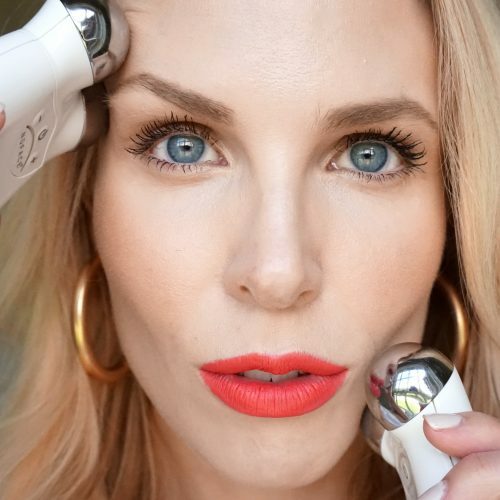 In the meantime, I suggest you purchase the NuFace Facial Toning Device majorly discounted ($250 vs. $325) during the Nordstrom Anniversary Sale (July 22 – August 7th). At the very least Nordstrom has a fantastic return policy, so you can just return it if you find it doesn’t work for you. It’s worth a try! 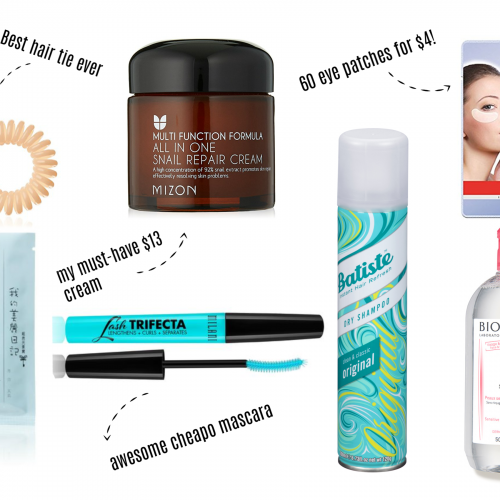 PS I was surprised to see that several of my all-time beauty staples on mega-sale, so please also check out my Nordstrom Anniversary Sale Beauty Picks post.